Organiser : MEX Exhibitions Pvt. Ltd.
PCB Expo Thailand 2018, ASEAN’s only exhibition on printed circuit board manufacturing and electronic assemblies, is organized to bring together the PCB community (manufacturers, buyers, sellers and professionals etc.) on a single platform in Thailand as the country is becoming a growing PCB and electronic component manufacturer. 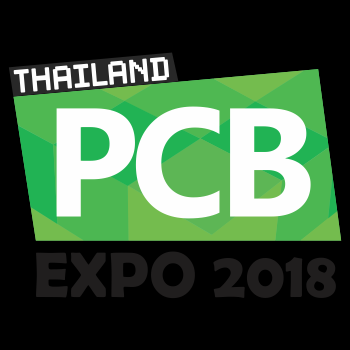 The PCB Expo Thailand 2018 is the opportunity to explore Thailand's electronic and electrical components sector, which is a 60 billion dollar market. It has been thriving and growing exponentially for the last three decades. On successfully completing five years of LED Expo Thailand and preparing well for the sixth, we had been getting demands to diversify to accommodate and unite wider realm of businesses and professionals. Printed circuit board was on everyone's agenda. Some wanted to sell their PCBs, while others were looking for buying the PCBs as per their requirement. Thus we took it upon ourselves to provide a single platform to both these parties and many more to satiate their PCB related thirst. Hence, PCB Expo Thailand came into being and ripples of happiness travelled across the PCB industry, globally. Printed circuit board is the base where all the components stand united and render smooth functioning to the device. Although PCB is the basis of almost all electronic circuits today, still it hasn't got the attention it deserves. Nevertheless, technology in this area of electronics is developing quite fast. Track sizes are decreasing, the number of layers in the boards is increasing to accommodate the increased connectivity required, and the design rules are being improved to ensure that smaller SMT device scan be handled and the soldering processes used in production can be adjusted. The PCB manufacturing process can be achieved in a variety of ways and there are a number of variants. To help spread awareness and unite the PCB community the show offers a big platform to businesses, professionals and associates of the PCB industry so that they grow together globally. PCB Expo Thailand 2018 welcomes visitors from varied business spheres including architects, lighting industry professionals and many others to explore the use of LED for various applications in both domestic and commercial usage.